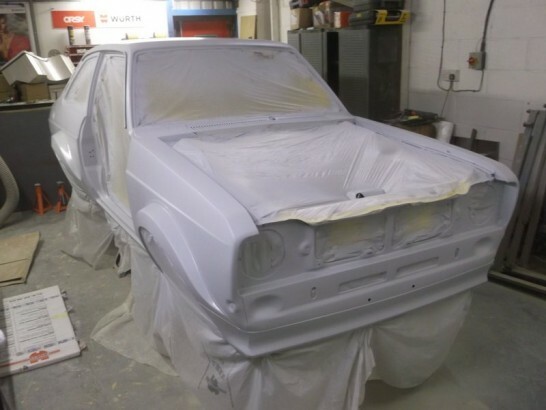 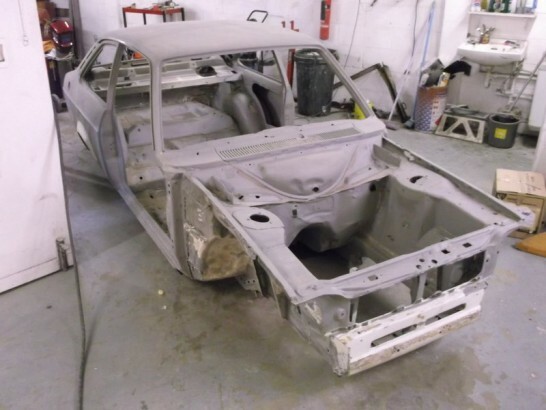 Like most good Mk2 Escorts, years of patching, repaints and various mods has left this Mexico in need of a full strip down and some TLC. 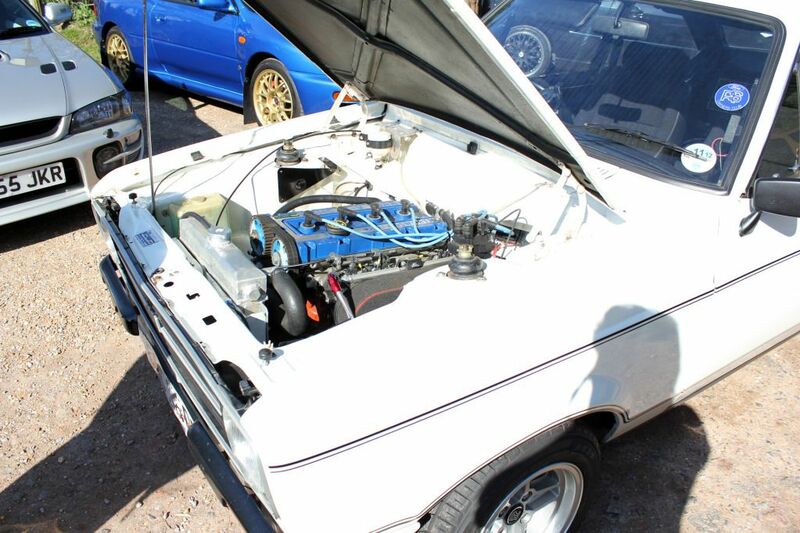 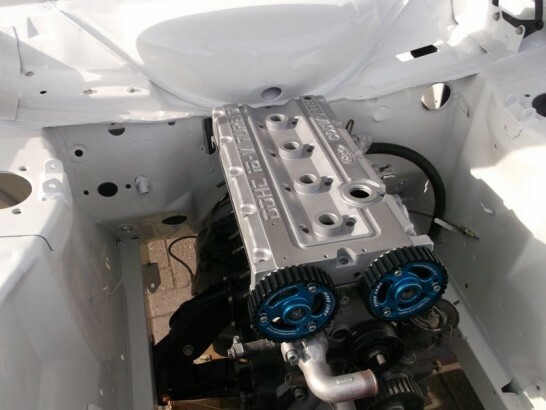 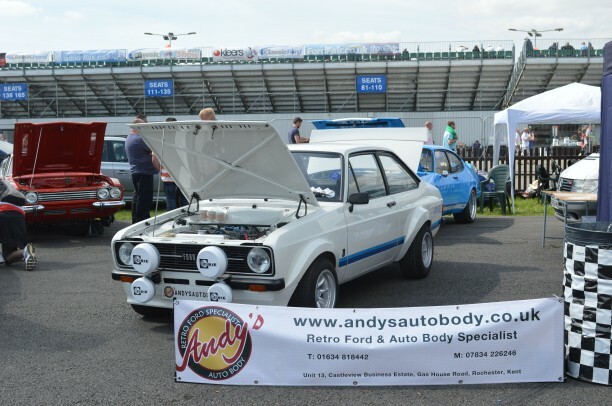 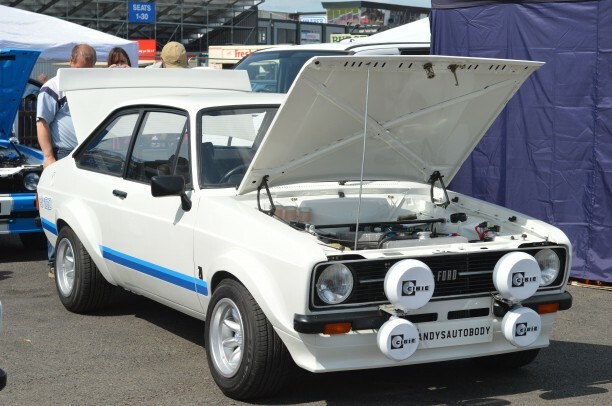 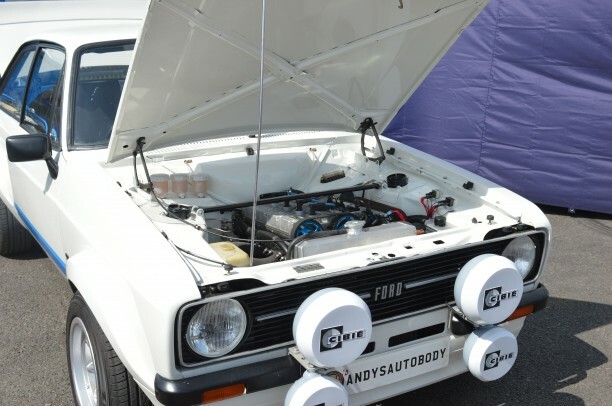 Fitted with a NYAB YB Cosworth engine built by Jondell Racing, mated to a 4 speed Quaife straight cut gearbox, narrowed Atlas axle with a ZF limited Slip dif, Hi spec front brakes and compression struts and resting on a set of 7J RS 4 spokes. 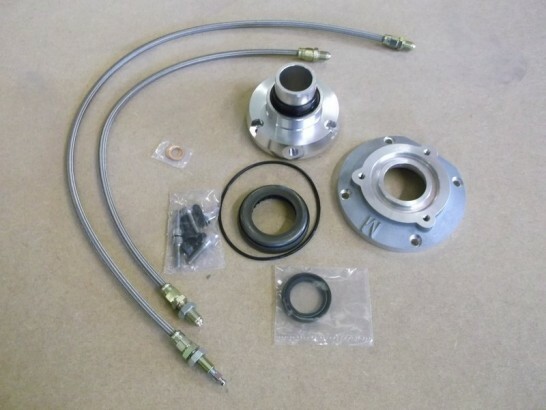 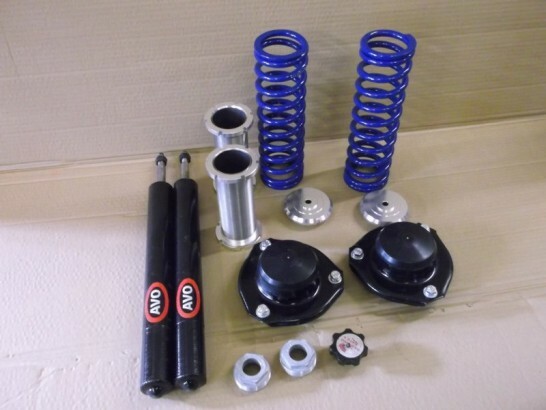 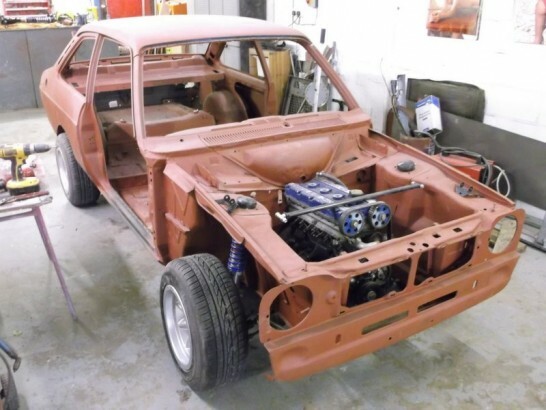 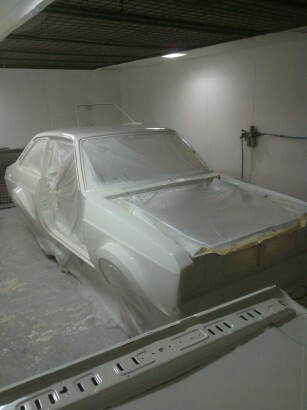 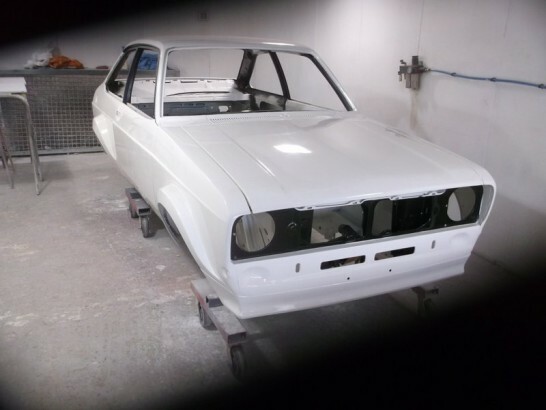 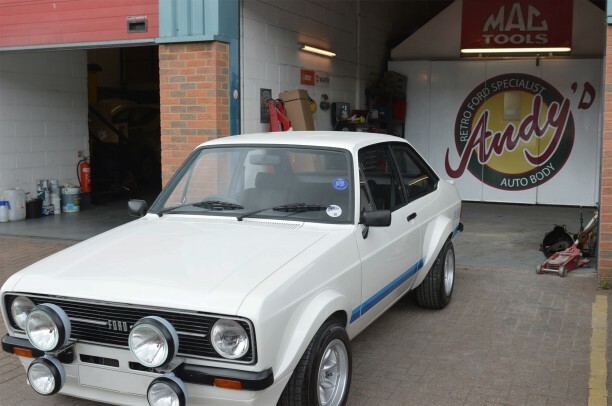 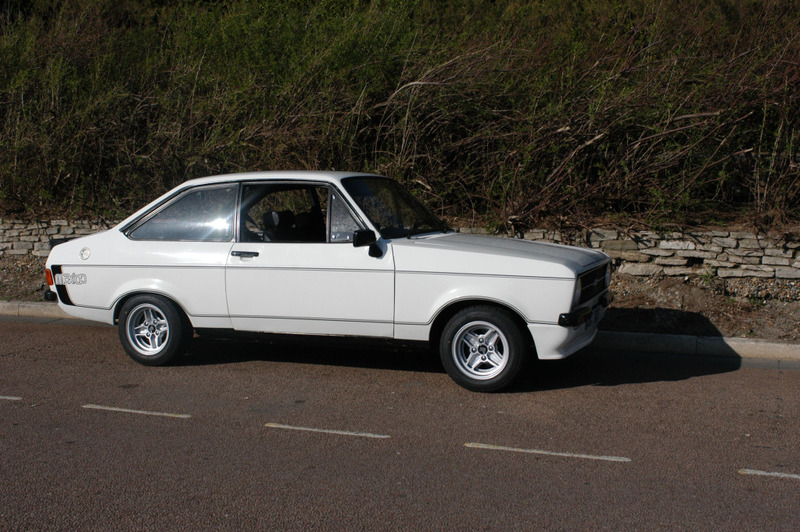 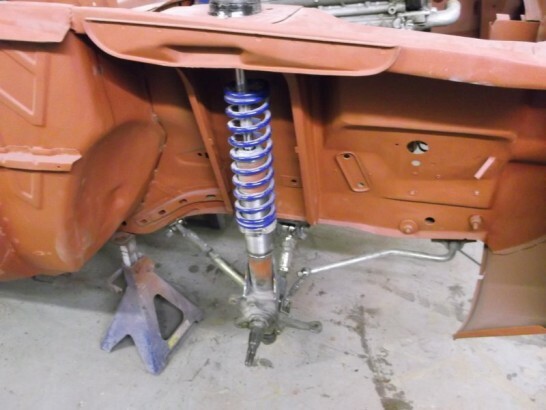 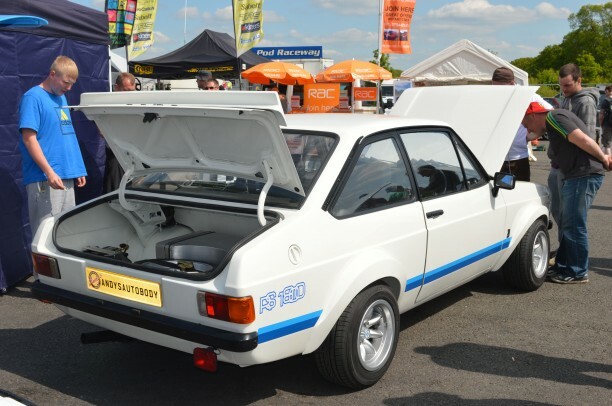 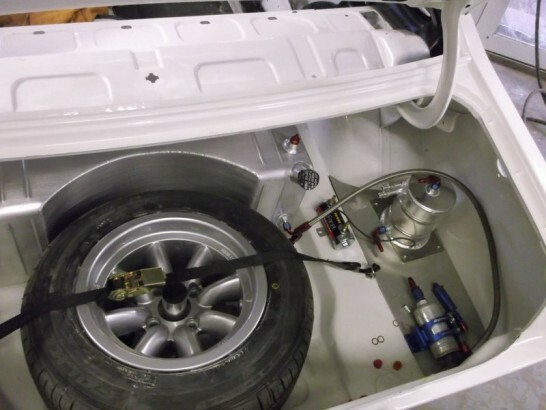 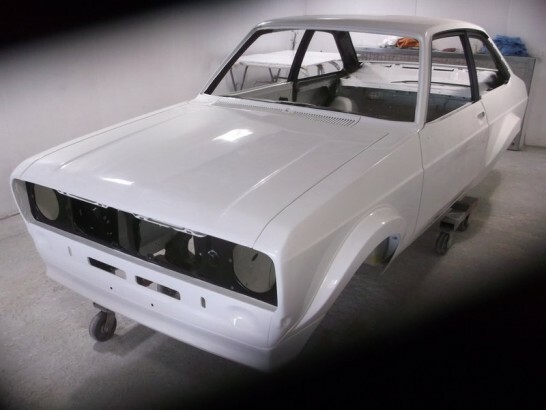 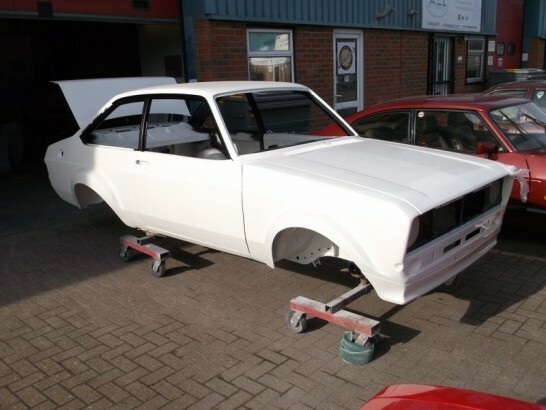 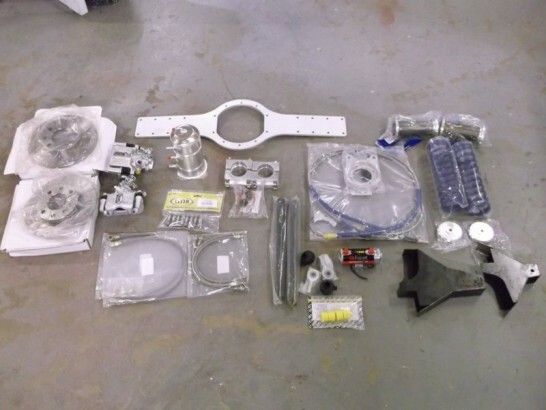 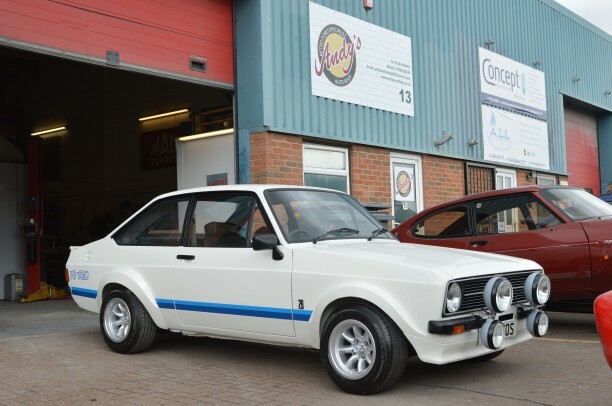 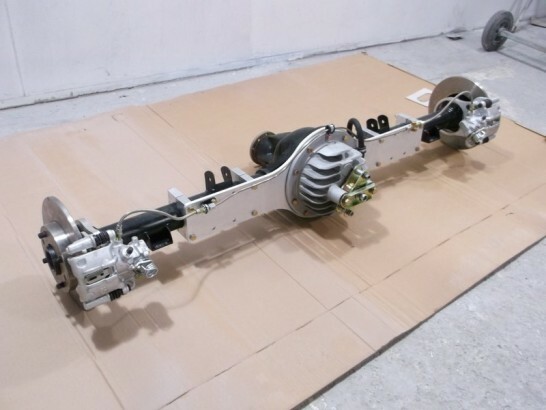 Unhappy with the quality of the installation and mods carried out on the Mexico, Jeremy is looking to rectify the issues and add more upgrades during the restoration; these include an alloy fuel tank and external swirl pot, rear roll cage, watts linkage, rear disc kit, Avo inserts on the front and coil overs. 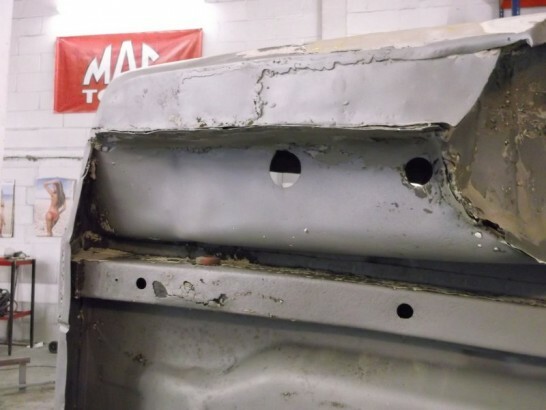 Years of corrosion and numerous dodgy repairs has left the shell in desperate need of some new panels. 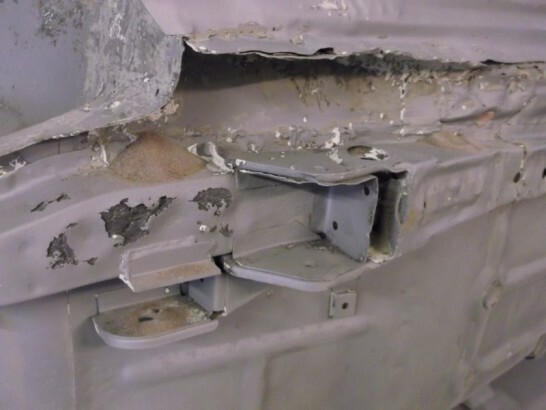 The Mexico has also suffered some accident damage over the years. 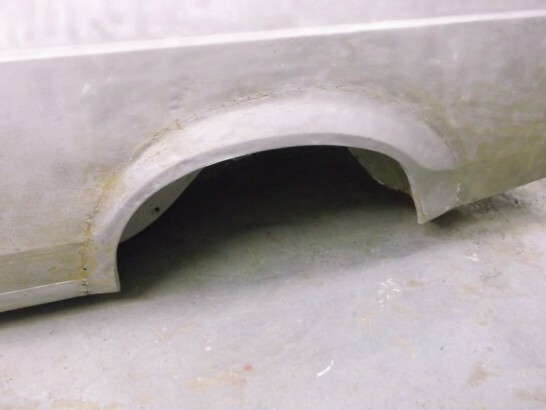 The arches have been replaced at some time and have not been fitted very well so the owner has decided its finally time to fit a set of Tarmac Arches. 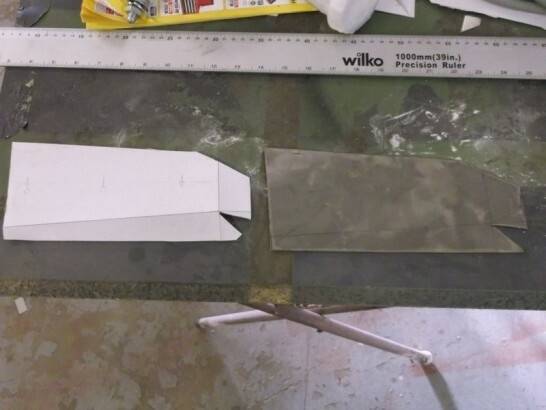 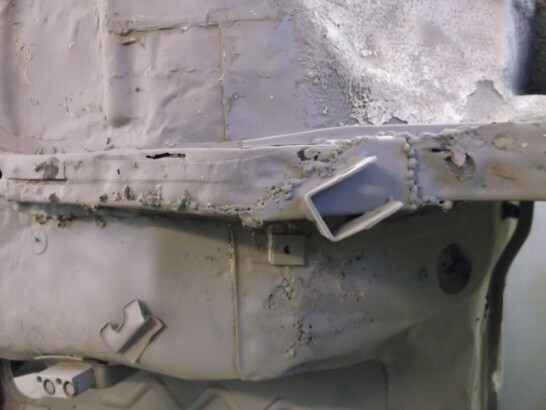 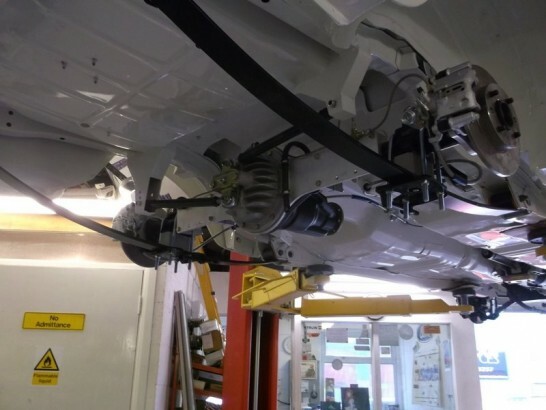 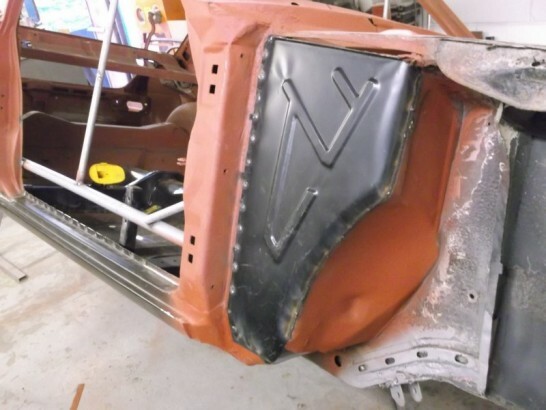 The inner wings have previously been replaced due to some accident damage and have since been patched up various times so a new pair have been sourced. 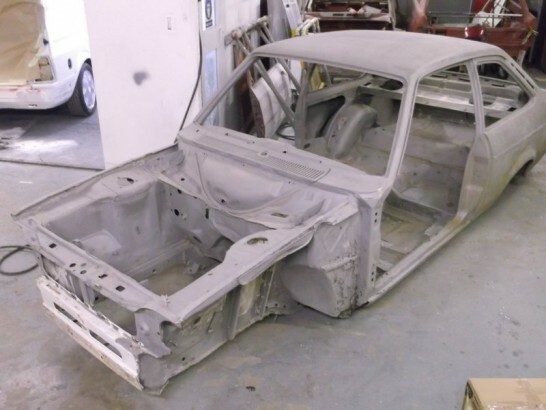 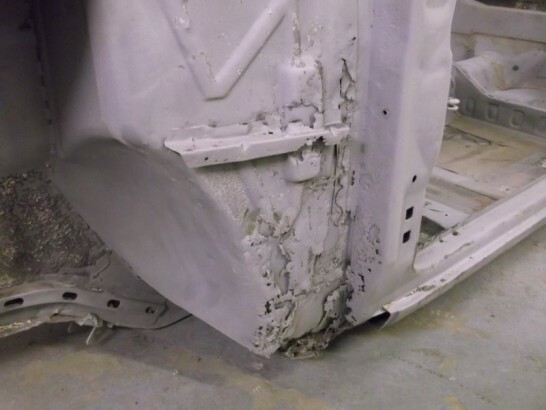 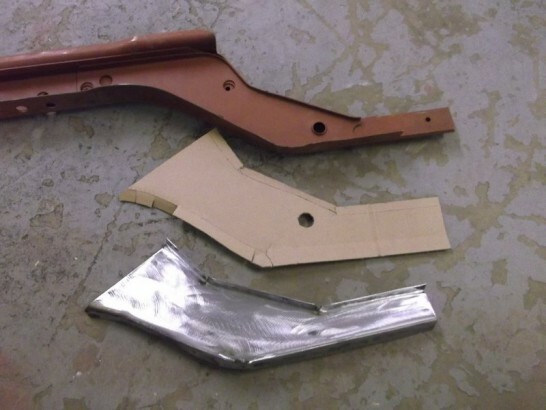 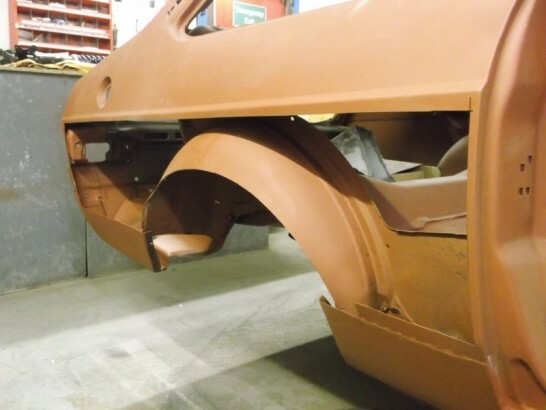 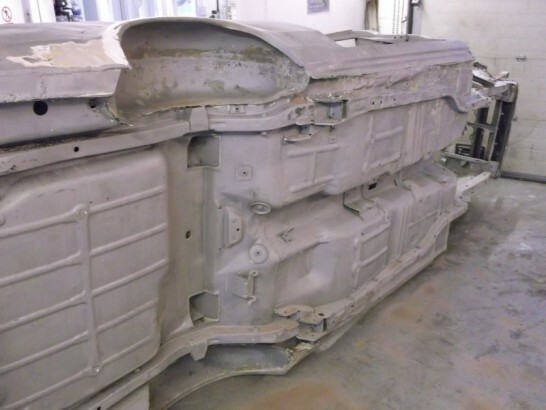 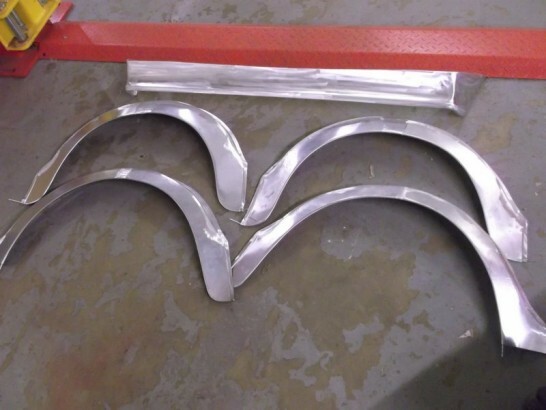 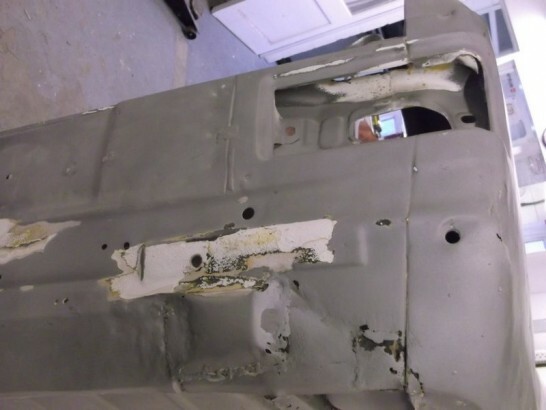 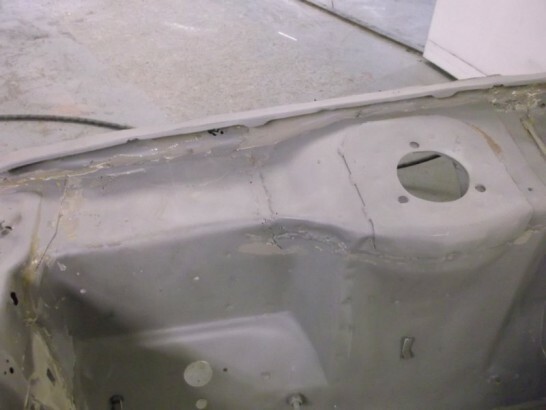 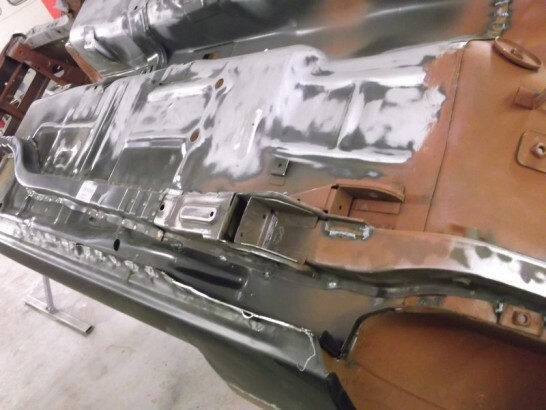 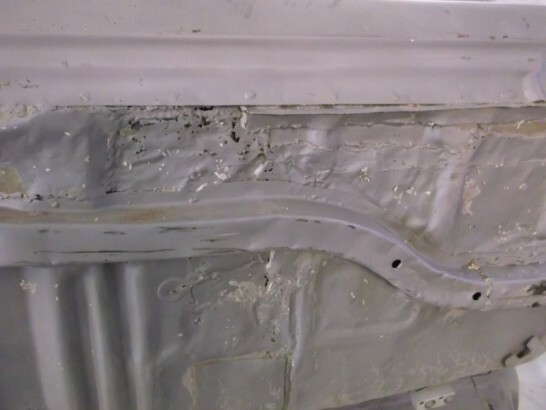 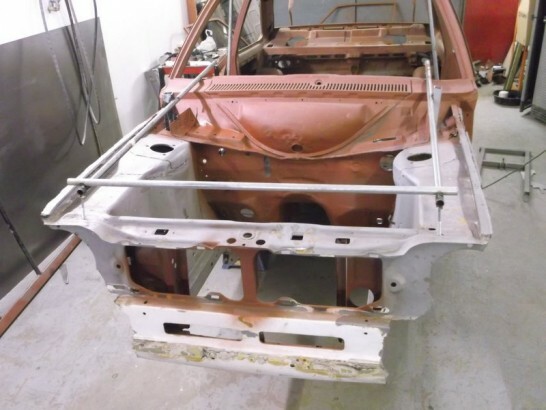 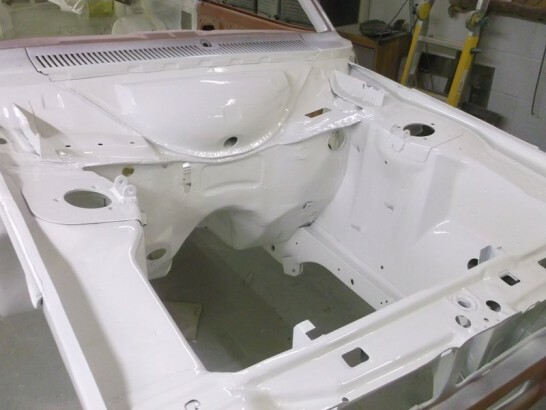 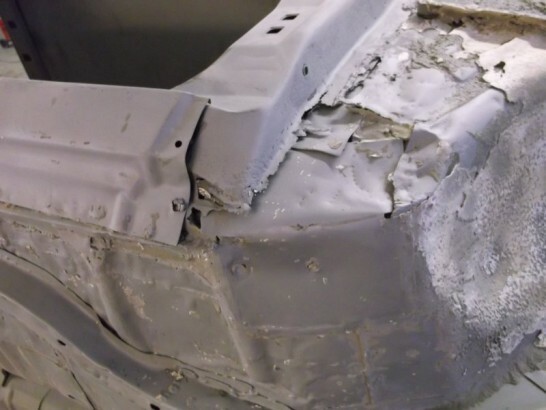 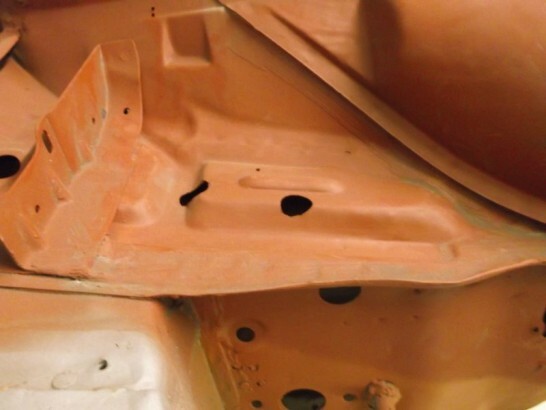 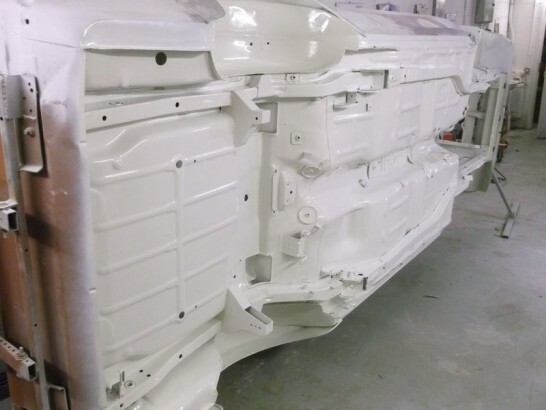 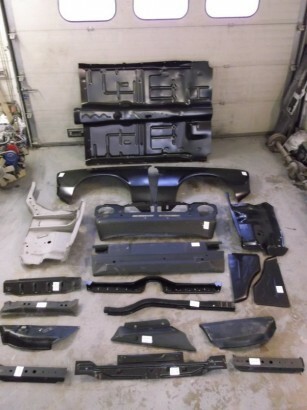 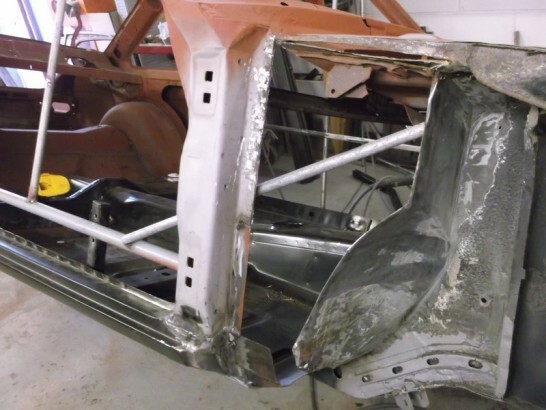 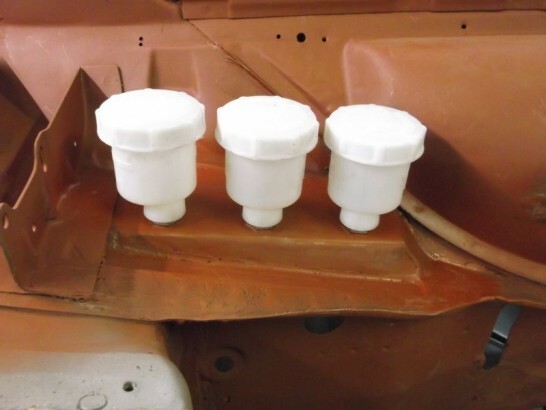 Five out of six of the chassis sections are riddled with corrosion so a combination of genuine Ford and pattern panels have been sourced. 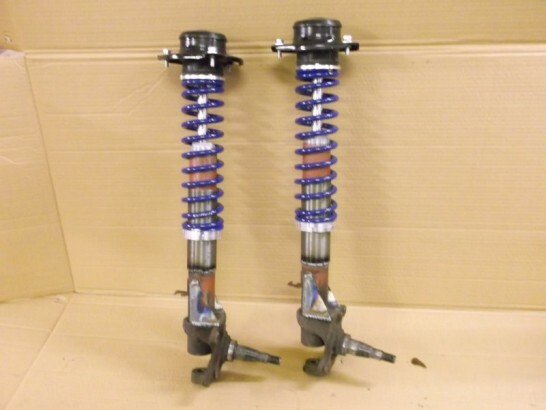 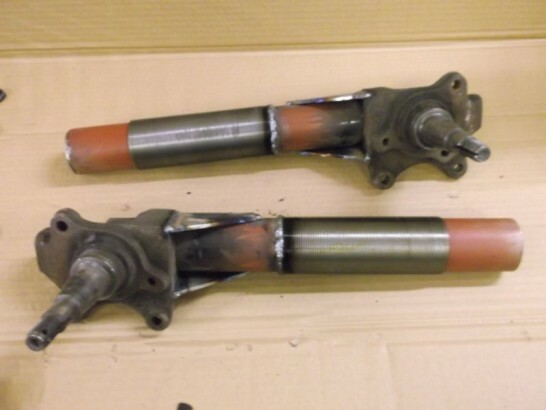 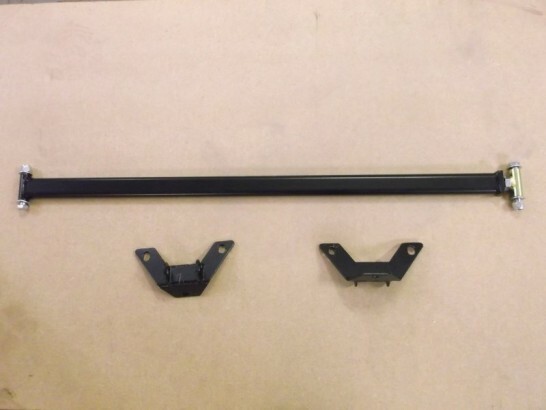 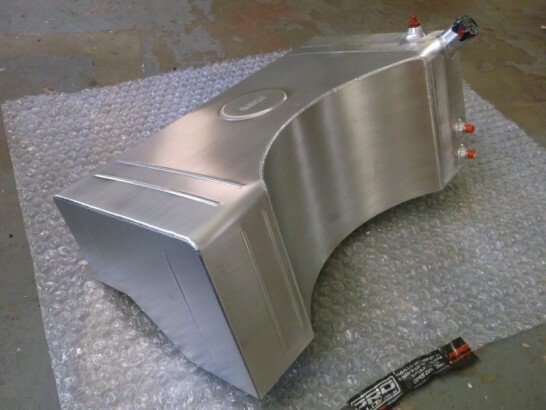 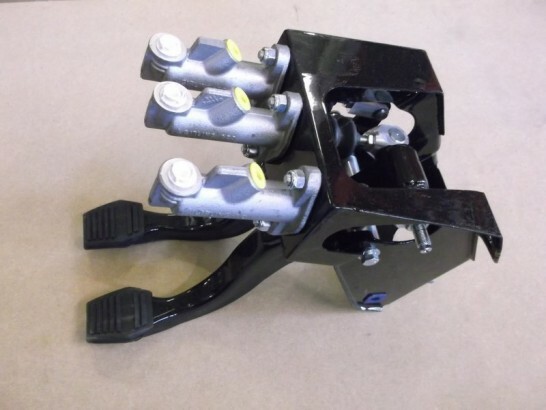 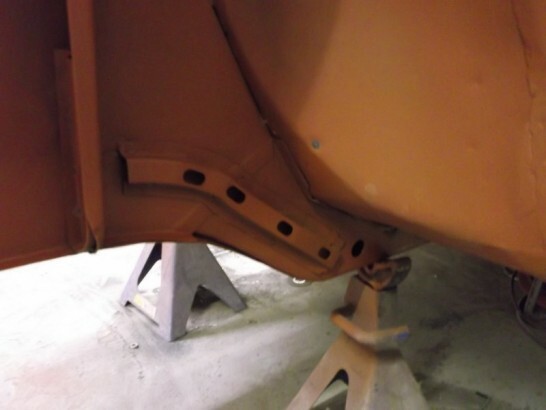 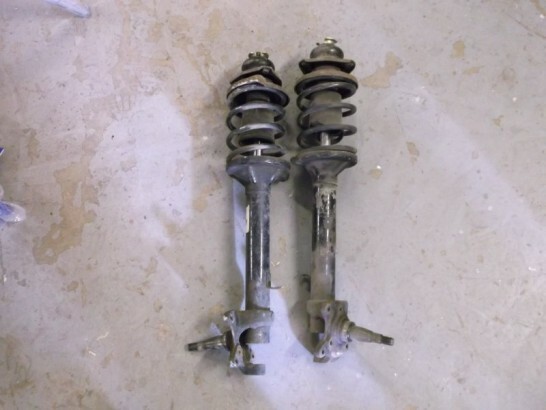 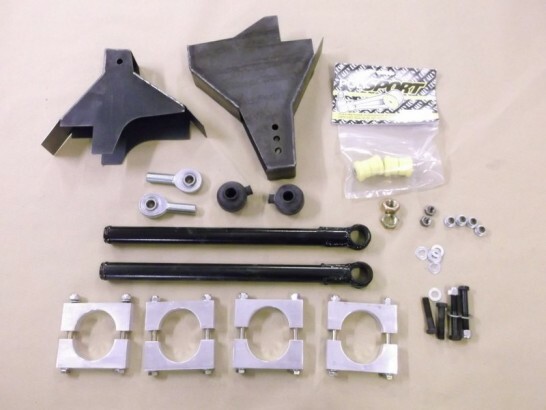 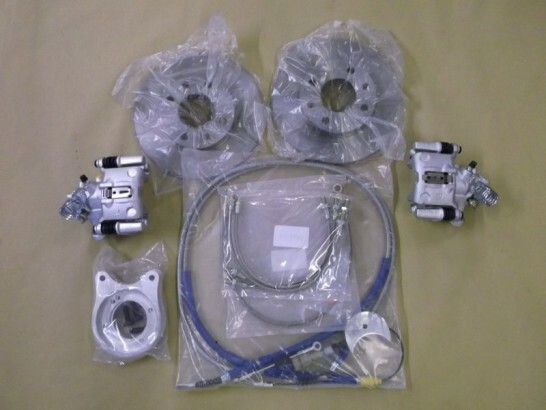 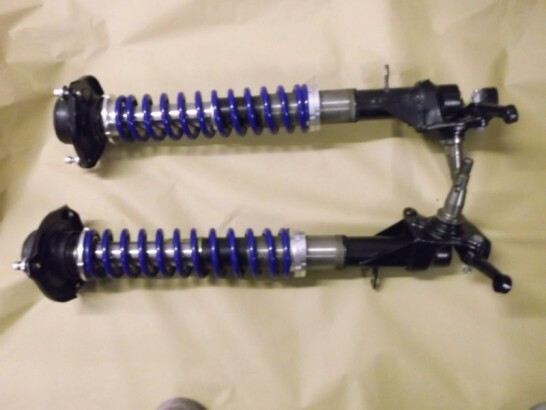 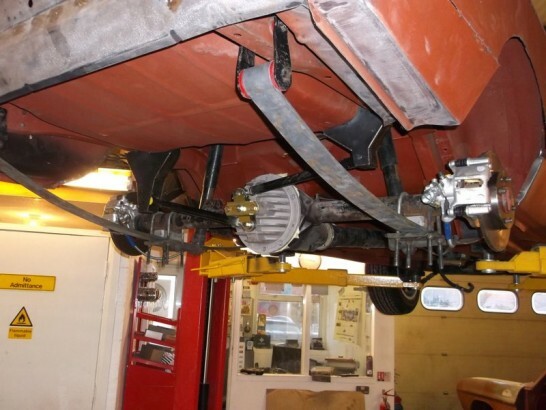 New compression strut brackets will be fitted once the new chassis sections have been fitted. 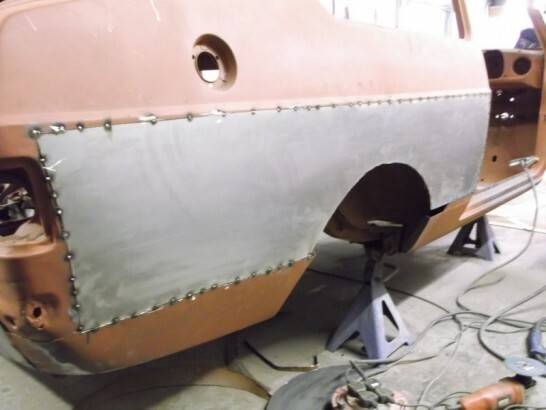 A selection of the panels needed to bring the Mexico back to its former glory. 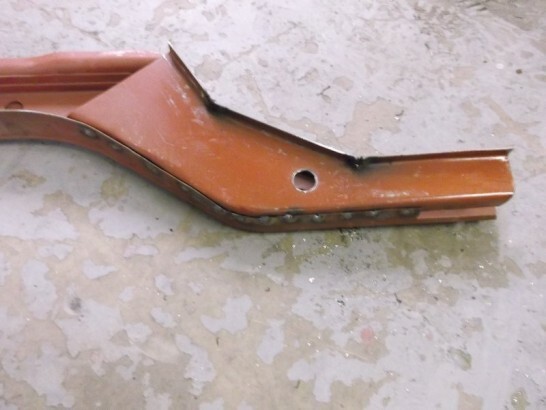 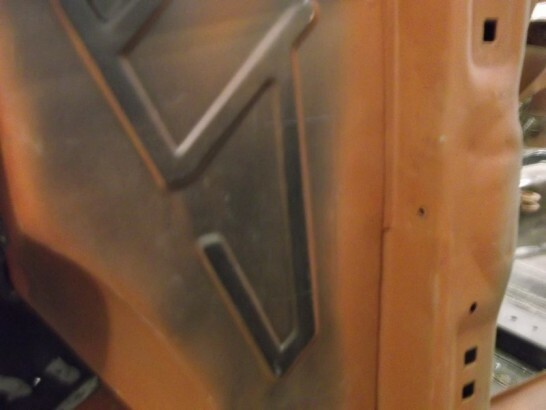 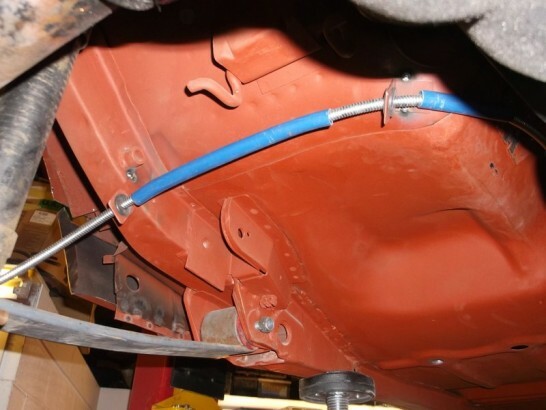 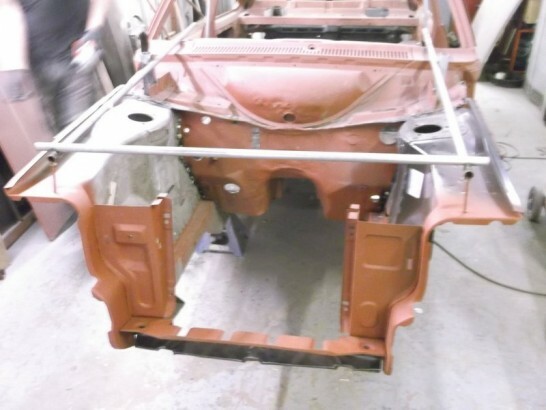 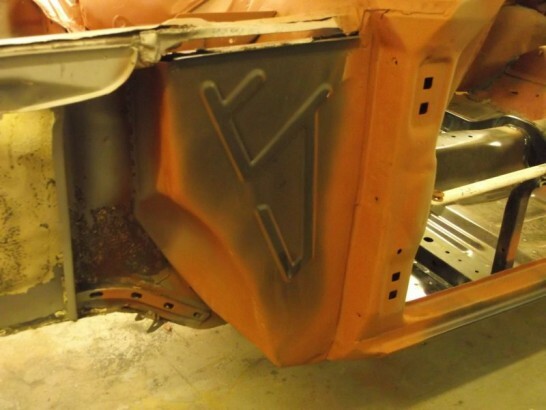 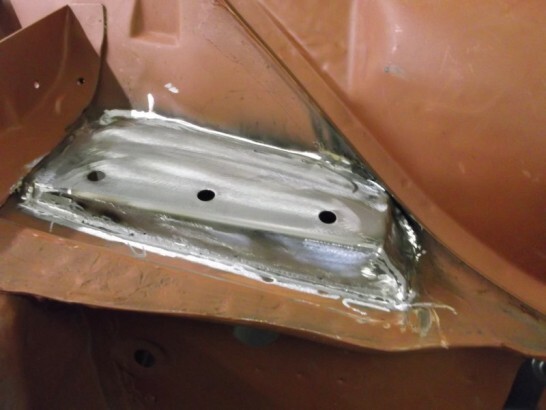 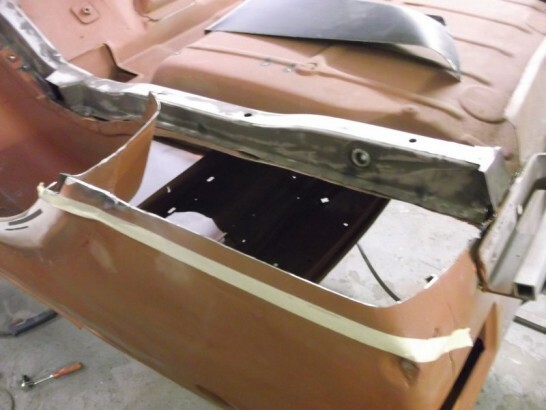 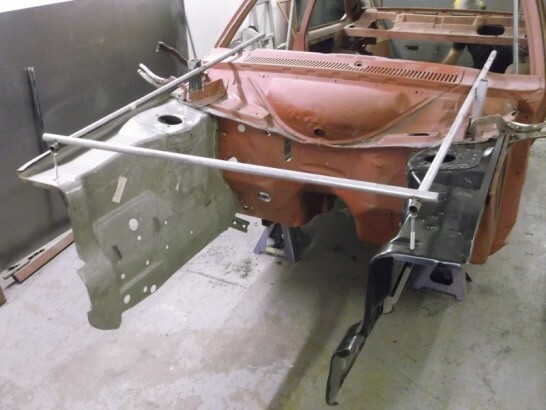 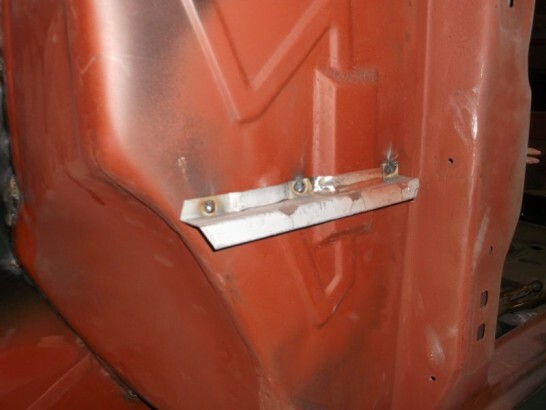 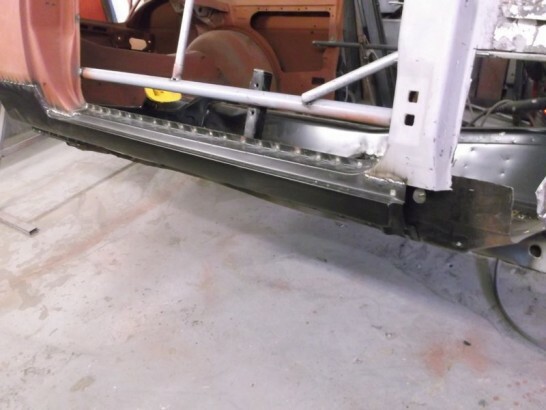 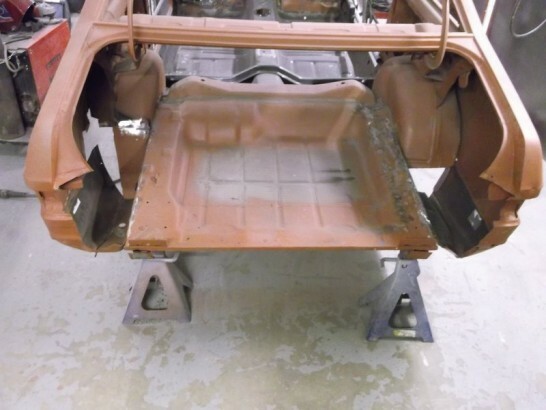 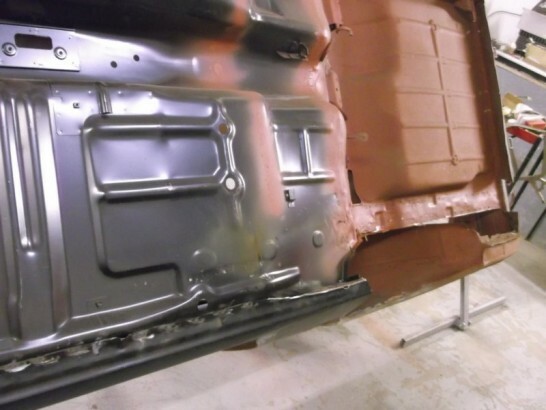 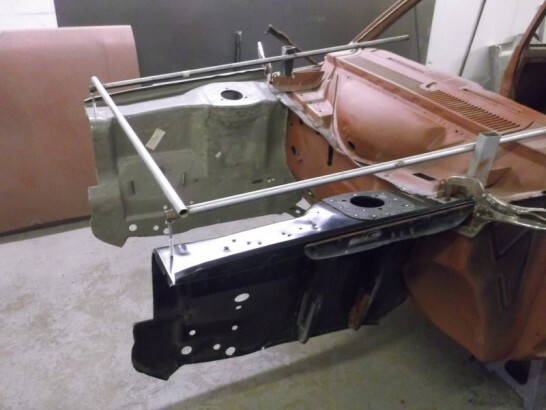 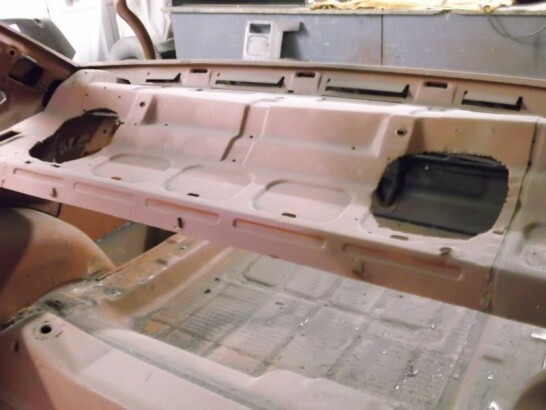 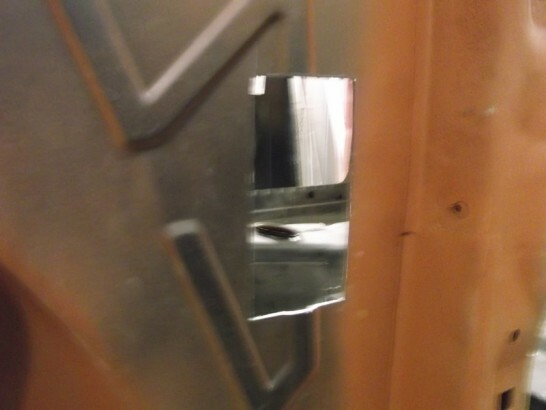 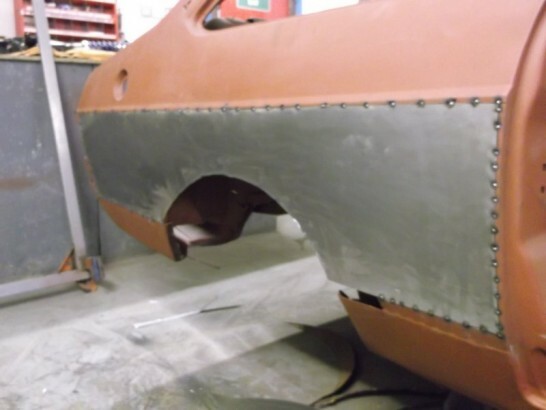 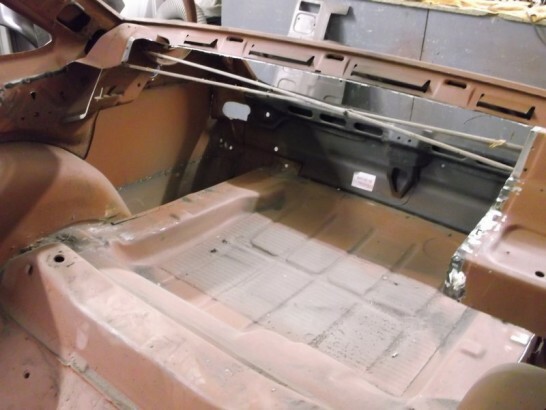 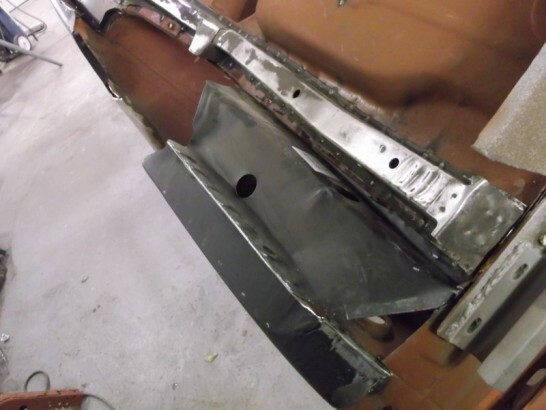 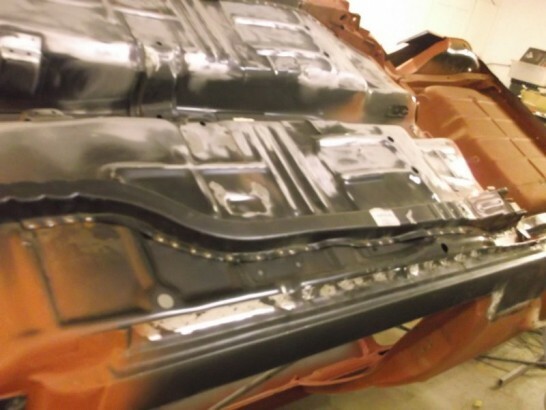 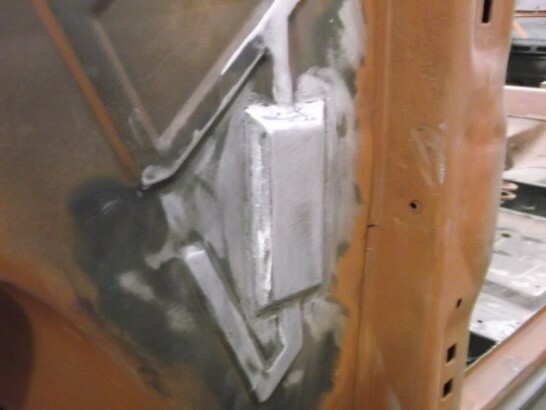 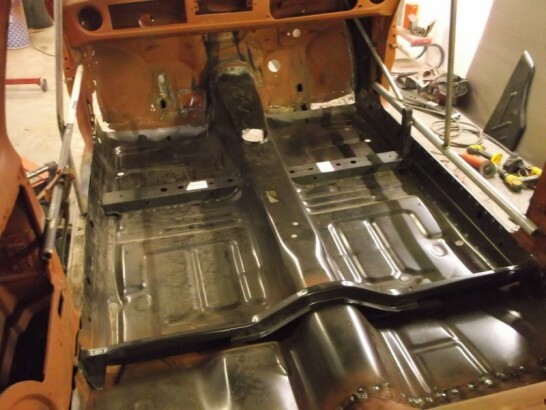 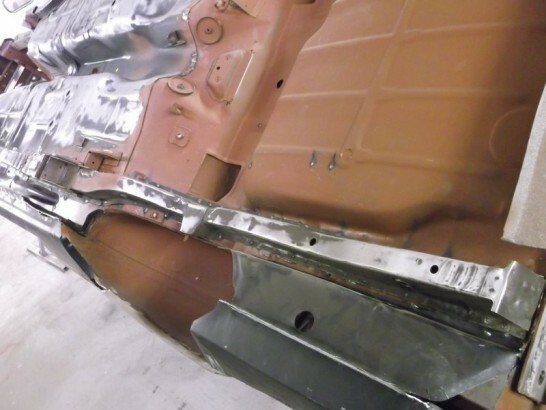 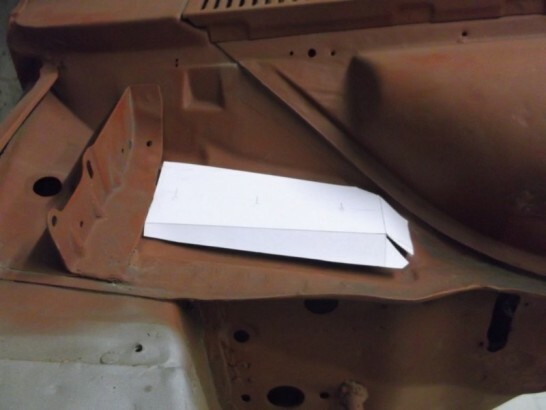 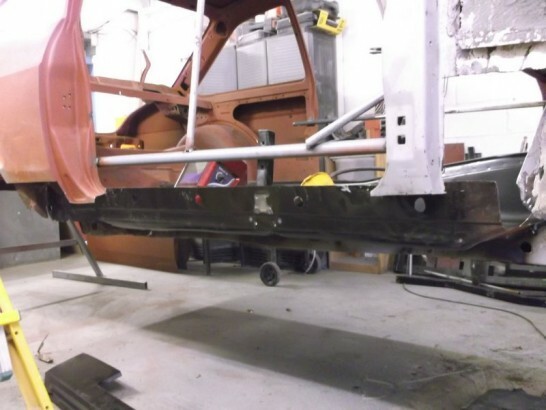 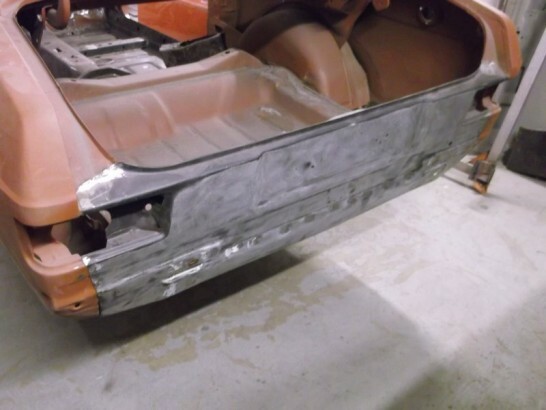 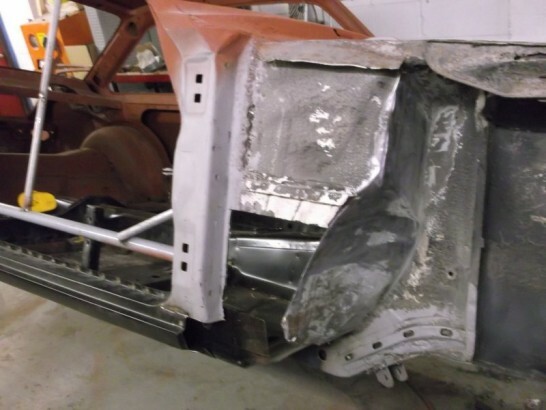 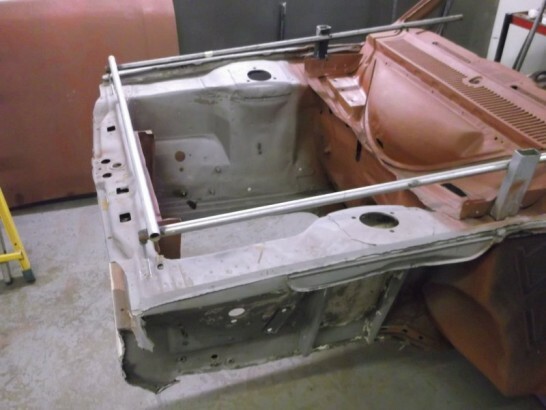 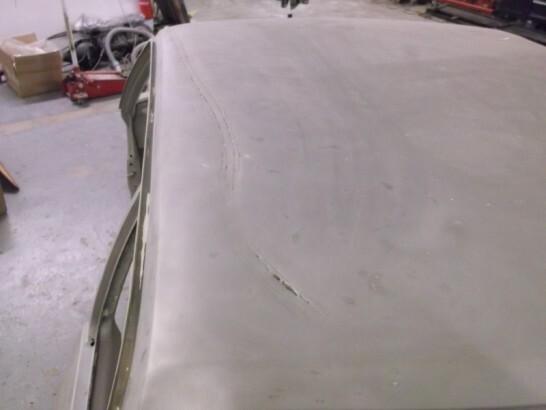 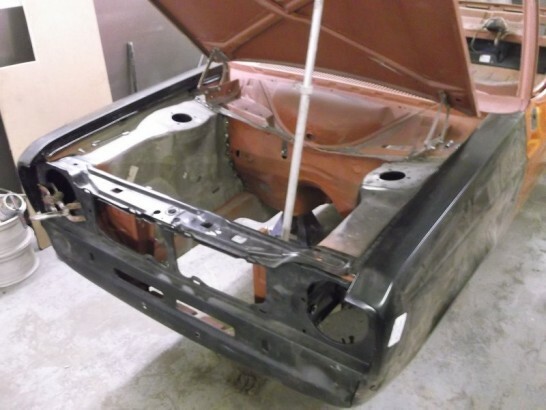 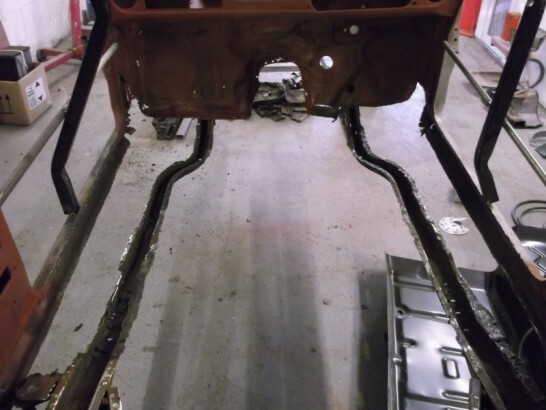 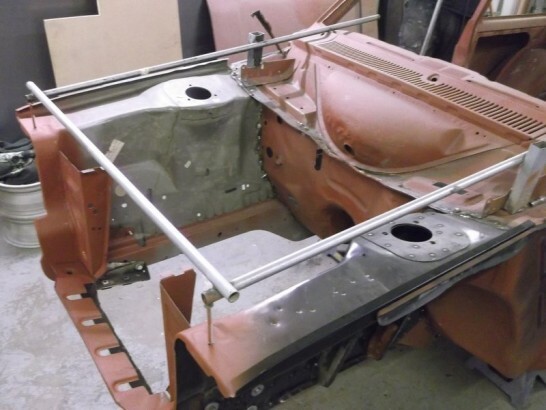 With the new floor pan welded in place the outer sills can be removed .